Note - The front-to-back rail spacing must be at least 460 mm (18.11 in.) and not more than 715 mm (28.15 in.) from the outside face of the front rail to the outside face of the back rail. 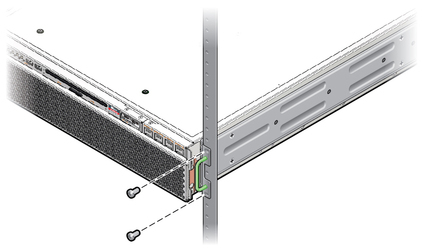 Use four of the supplied M5 x 4.5-mm flathead Phillips screws to secure each of the hardmount brackets to the sides of the server. Measure the depth of the rack. 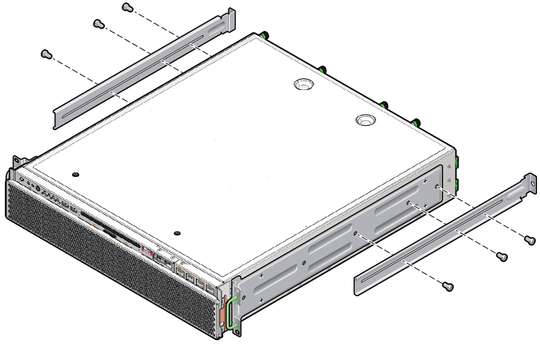 Install the rear mount support brackets at the rear of the server, extending the rear mount support brackets to the measured depth of the rack. Use two to three of the supplied M4 x 0.5 x 5 mm panhead Phillips screws for each bracket, depending on the rack depth. 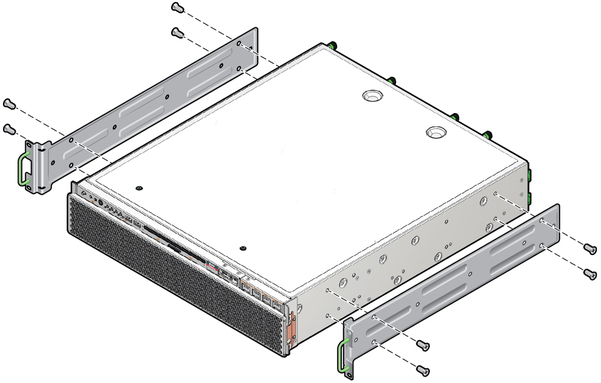 Lift the server to the desired location in the rack. 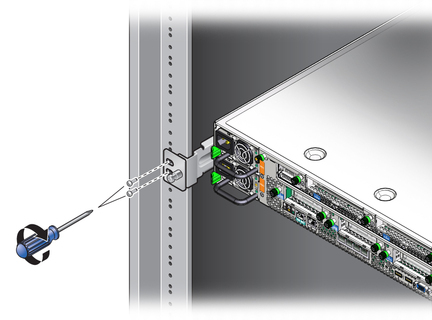 Using two screws per side, secure the front of the hardmount brackets attached to the sides of the server to the front of the rack. Get the two rear mount flanges from the rackmount kit. Using two screws for each rear mount support bracket, secure the rear mount support brackets to the rear of the rack.